No One can define your future except for you. I'm Marcus Sanders. I'm a husband, a father, an educator, a pastor, and a mentor, born and raised in Anchorage, Alaska. Growing up, I was told in school that I'd never amount to anything - that all I'd ever become was a worker at a fast food restaurant. Hearing that as a kid can really break you, but I refused to let that message discourage me. They said I would never graduate from high school, but I did. They said I would never get my degree, but I did. They said I would never work anywhere other than a fast food restaurant. Today, I’m a full-time motivational speaker, mentor, and military chaplain. You don’t have to be defined by what others say you can and cannot do. With hard work, focus, and discipline, you can live a life that makes a difference in our world..
Let’s make our world a better place. Be positive, stay humble, and work hard. 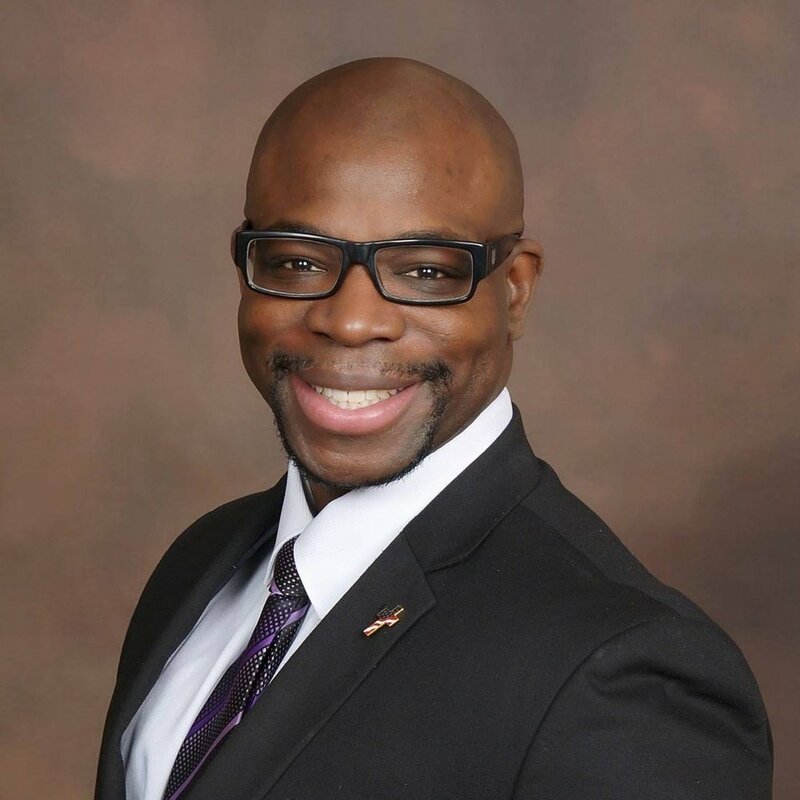 Marcus Sanders is a husband, father, educator, pastor, community leader, and mentor. Born and raised in Anchorage, Alaska, Marcus has is well-known for his energetic speeches, his engaging personality, and perhaps most importantly, his story of resilience and persistence. After years and years of being told that he’d never become anything, Marcus developed a drive and passion not just to prove his critics wrong, but to do so in a way that uplifts others and motivates our youth to become the best they can be. You may stumble now, but you’ll ultimately prevail in the end if you work hard, keep pushing, and serving others to the best of your ability. Marcus Sanders is available for a limited number of speaking engagements in schools, corporate groups, and to private groups. For more information about Marcus, or to inquire about dates for potential speaking engagements, please fill out the form at right, and a member of Marcus’ team will reach out to you shortly. Honorarium: $2,000 + Economy Travel for 2 from Anchorage, Alaska. Discounts for non-profit groups may be available.